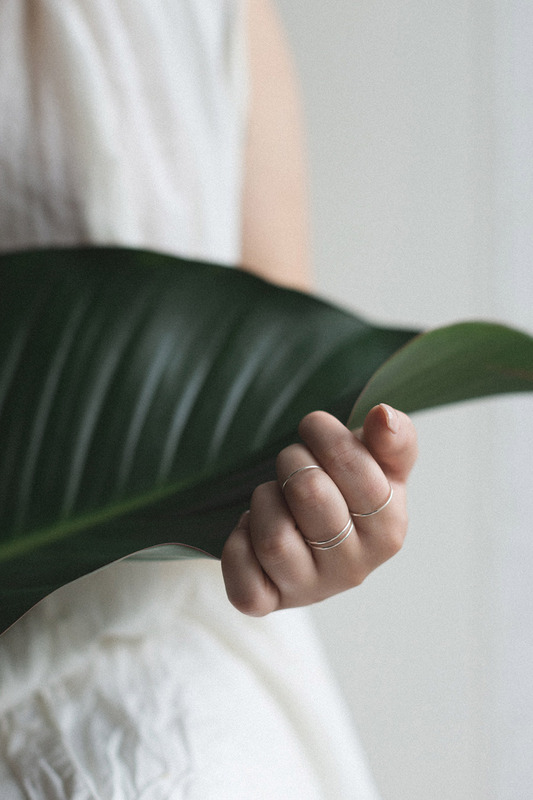 image features Simple Rings – handmade by Minnette Vs. Corey. Photography by Bri Hammond, Styled by Caitlin Royce and Modelled by Lauren Fleurie. 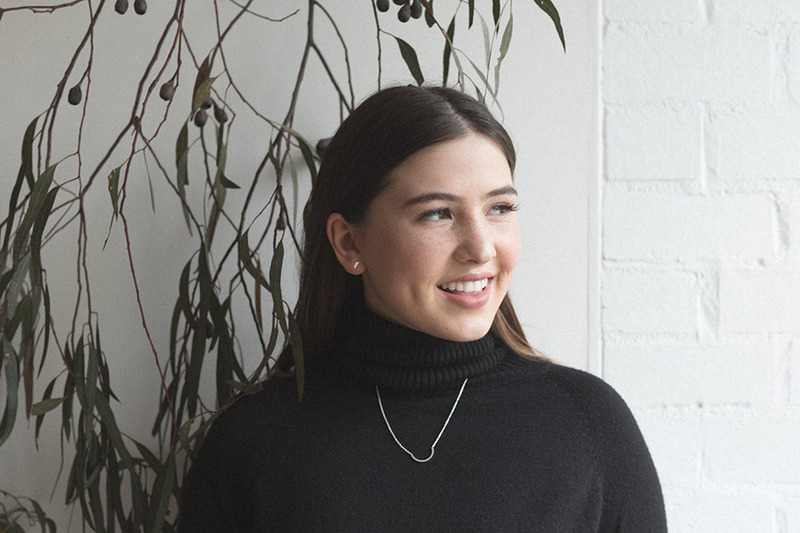 We chat with Minnette of Minnette vs Corey as they prepare for their hometown event, our inaugural Adelaide market! We are Minnette and Corey Michael. Our back story is… I (Minnette) taught Corey how to make jewellery a few years ago. Then we were both selling our own designs under different labels but in the same shops. We developed a bit of a competition as to whose designs would be the most popular each month. As our label’s grew we decided it would be easier to work together. So we merged under the name Minnette vs. Corey, to keep a bit of the competition alive. Our business has grown a lot since then but we still design and hand make all of our jewellery ourselves in our little home studio in Adelaide. 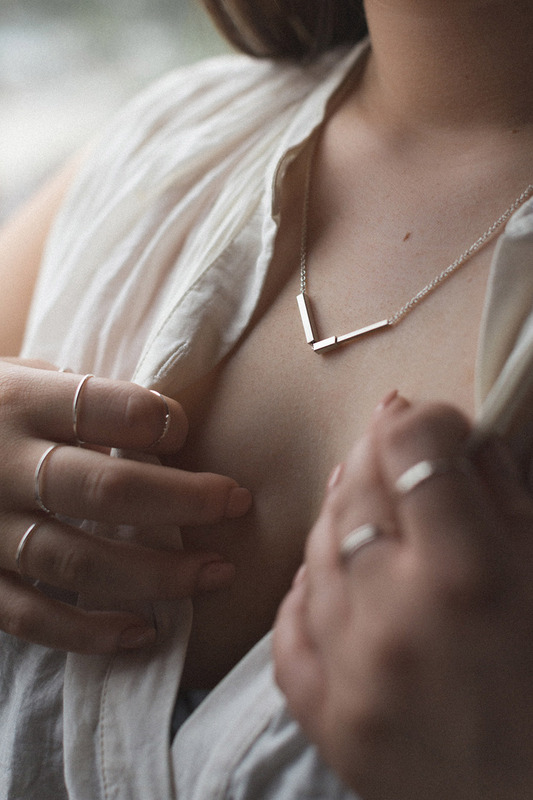 image features Cube Necklace – handmade by Minnette Vs. Corey. Photography by Bri Hammond, Styled by Caitlin Royce and Modelled by Lauren Fleurie. image features Bar Studs, Square Charm Necklace and back of necklace – handmade by Minnette Vs. Corey. Photography by Bri Hammond, Styled by Caitlin Royce and Modelled by Lauren Fleurie. Get to know other stallholders. Finders Keepers markets bring together an amazing mix of creative people from all over Australia and they are all so lovely! Friendly, neighbouring stallholders have been lending us scissors, buying us coffee, letting us run to the toilet and swapping change for a few years now and we have made some really great friends. Markets wouldn’t be as fun without them. Tell us something exciting that you have planned for Minnette vs. Corey this year. We’ve just started working with gold! We have been getting quite a lot of requests for gold from people with sensitive ears that cant wear sterling silver. We made a small collection of 9ct gold studs for Melbourne AW16 Finders Keepers and we sold out! So we are planning on growing the collection over the next few months. image features Abstract Studs, Curve Matchstick Necklace – handmade by Minnette Vs. Corey. Photography by Bri Hammond, Styled by Caitlin Royce and Modelled by Lauren Fleurie. 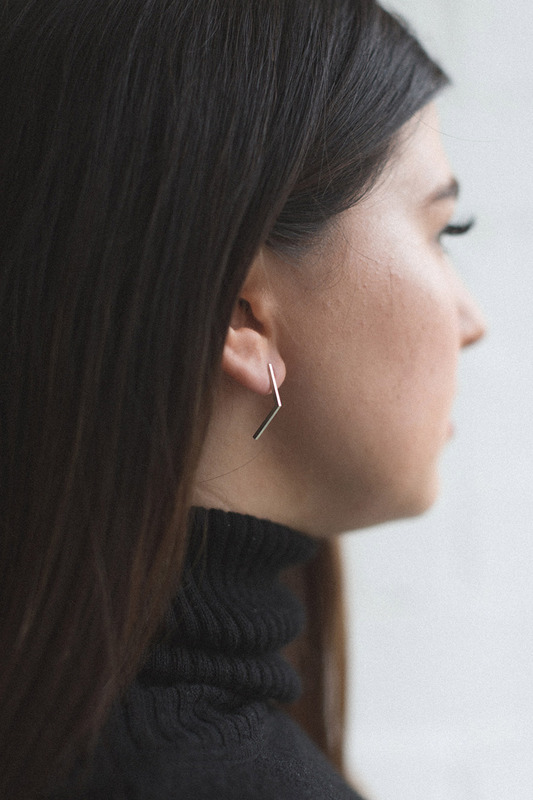 image features Bent Matchstick Stud Earrings – handmade by Minnette Vs. Corey. Photography by Bri Hammond, Styled by Caitlin Royce and Modelled by Lauren Fleurie. Our good friend Bri Hammond! 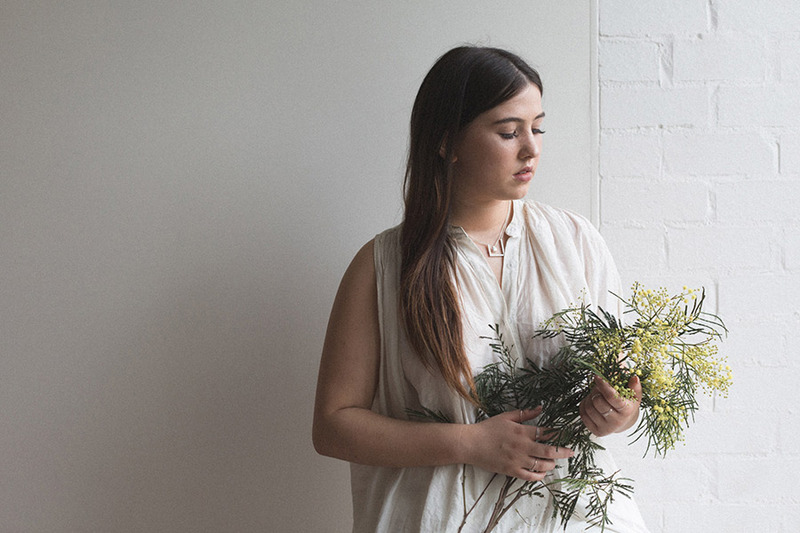 She helps us out manning stalls at Melbourne Finders Keepers, she lets us keep some of our market display stuff at her house in between markets so that we don’t have to transport everything from Adelaide to Melbourne every time and she takes awesome photos of our jewellery. Specifically, you can check out her work here. Every time I design and make something new it becomes my new favourite, even if it’s just for a day! But the one design that I wear a lot is the Bent Matchstick Earrings. I don’t really enjoy the movement or sound of dangly earrings so I designed these earrings as my version of dangly earrings. They are a bit bigger than a stud but don’t dangle/move. Corey is currently loving our new tie bars. We designed them for him to wear with his skinny ties. We made them two days before Melbourne AW16 Finders Keepers so we don’t have proper photos yet just a quick snap on instagram. 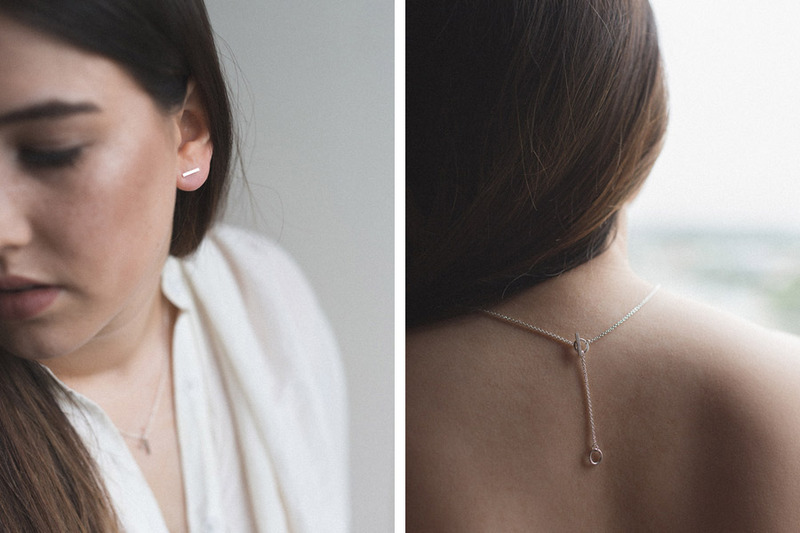 image features Split Bar Necklace – handmade by Minnette Vs. Corey. Photography by Bri Hammond, Styled by Caitlin Royce and Modelled by Lauren Fleurie.